idDiv - fondly known as Middy - has lived with the campaign since the 18th of January 2013 when she and her sister Cree both joined the family. Middy became the wife of Rocco (better known as Rocky) on Valentine's Day 2013. A honeymoon followed two days later and a litter was born to them on the 4th of March. Sadly, the couple's children all passed away when Middy stopped producing milk a few days after their birth. One survivor lived to the age of two weeks on life support, being handfed by a human caretaker (also known as a GFO or "Great Furless One"). But even that baby, a male who resembled his father, was not destined to live. The couple plans a second litter. 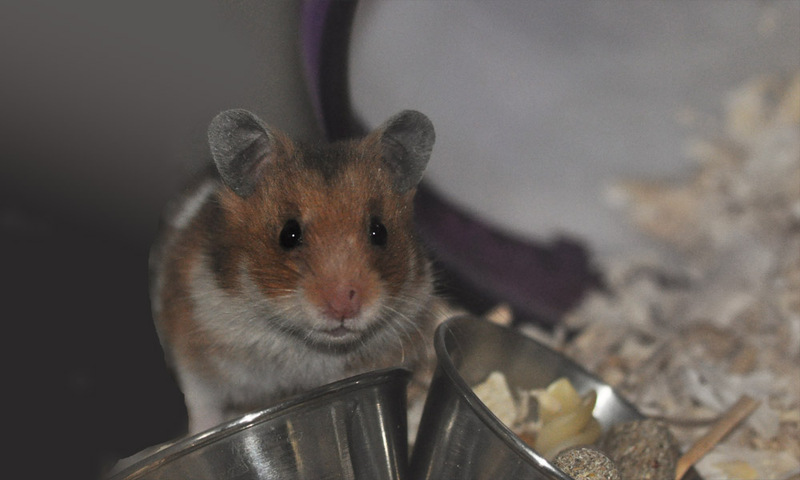 It is not uncommon for hamster mothers to lose a first litter. After losing her babies, Middy took over the work of sister Cree as horse picker, and hopes that her second litter will include a world class horse-better. She and her sister come from a long line of hamsters who follow British horse racing online. When her children are all grown up, Middy, who has college degrees in communications, literature and journalism, will officially take the position of newshamster for the HFP campaign.